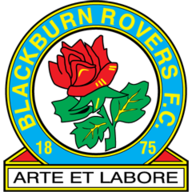 Goals from Ben Marshall and Jordan Rhodes saw Blackburn to their first win in three Sky Bet Championship games with a 2-1 victory over Fulham. Marshall calmly slotted home after charging down a clearance after 11 minutes and the lead would have been doubled but for the woodwork denying Craig Conway. Blackburn looked to be home and dry after Rhodes headed in his 10th of the campaign just past the hour but Fulham rallied and minutes after Cauley Woodrow rattled the crossbar, Ross McCormack tapped in his 11th of the season to ensure a nervy finish. But Rovers held on to get their play-off ambitions back on track after only one win in nine league games, while Fulham's away day misery continued with a third consecutive league loss on the road. Gary Bowyer made three changes from the defeat at Derby including a first start for loan signing Jay Spearing. His opposite number made four changes from the FA Cup draw at Sunderland, which saw McCormack recalled in place of Levante-bound Bryan Ruiz. Jazz Richards, making his first start on loan from Swansea, almost put the visitors ahead early on when McCormack's weighted pass found the defender but Jason Steele got down low to repel the shot. And they were behind after 11 minutes as Marshall charged down Nikolay Bodurov's clearance and strolled through to calmly stroke home his seventh of the season into the bottom left corner. 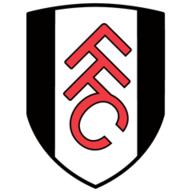 Fulham should have levelled after 17 minutes when Scott Parker's superb pass found Woodrow who skewed badly wide inside the area. Chances continued to flow and Conway could not have been closer when set up by Marshall but his 20-yard curling effort rattled the post before the move broke down. The open nature of the game allowed McCormack to find space in the area to bring down a Hugo Rodallega cross but he blazed over. The second half almost started with an opening minute goal when Rhodes met Markus Olsson's centre but the contact was poor and the ball missed the target. But the forward got it right when the same two players combined just after an hour. Again, Olsson put in a superb cross from the left and the forward got up at the near post to power a low header past Marcus Bettinelli. The breathing space lasted barely four minutes though as a cutback found Woodrow whose shot thundered against the crossbar, and after 66 minutes, Lasse Vigen Christensen drilled in a magnificent low cross from the right that gave McCormack a tap-in. Rovers almost put the game beyond doubt late on as Conway's 25-yard drive stung the palms of Bettinelli and Rhodes headed over the rebound but his earlier header was enough to secure the points.